The 12 Days of Christmas song is probably one of the most popular songs sung during the festive period. Traditionally the 12 days of Christmas would start on Christmas Day (or Boxing Day for some other traditions) with the song finishing on the evening of 5th January. This is when all the decorations should come down and festivities would end. We have a set of the complete 12 days of Christmas coloring pages for you to download and to colour in here in the blog. We have run through the 12 days of Christmas coloruing over the the last 12 days, and it seems fitting to give them all to you on the thirteenth day…so here you do…the complete set for you to colour in. We brought the 12 days of Christmas alive to you by use of our festive colouring pages and now we have compiled them all into one place for you, for handy reference. So, there we have it, the 12 days of Christmas is now complete. 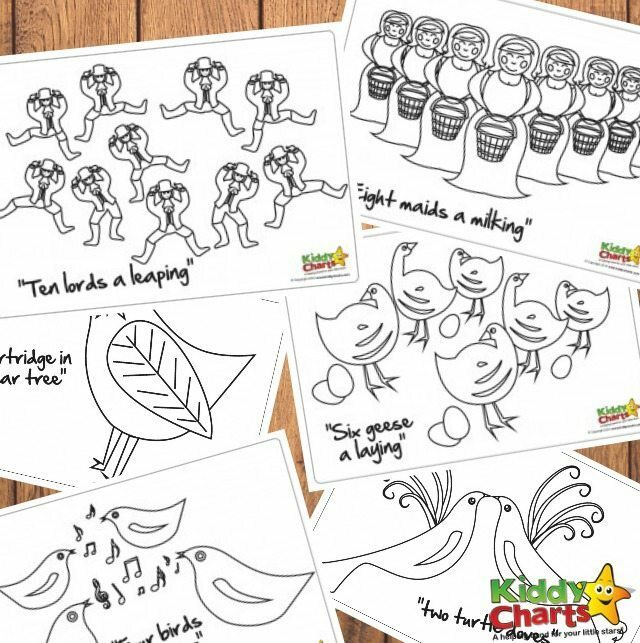 You can download these coloring pages at any time for yours and your child’s enjoyment.